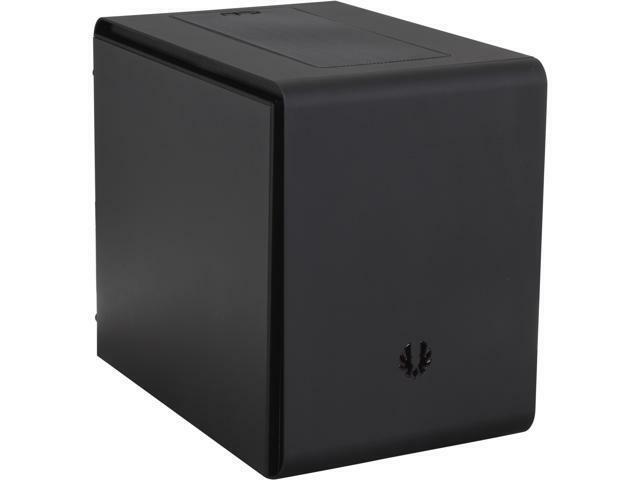 The CustoMac Mini is a bare-bones CustoMac in a shoebox sized case featuring a H170 mini-iTX motherboard plus a dual-core Skylake CPU and budget graphics card. The case includes a power-efficient power supply unit. Less parts, less power, less heat, less cost. 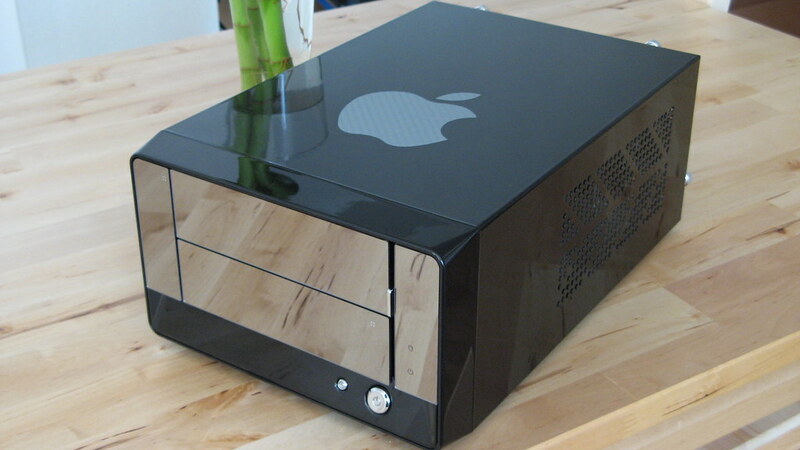 Because of the small size of the Apex Mini-008 case referenced below, overclockable "K" CPUs are not recommended. The CustoMac Mini "Deluxe" is a no-compromise build featuring a Z170 mini-ITX motherboard and a quad-core Skylake CPU. 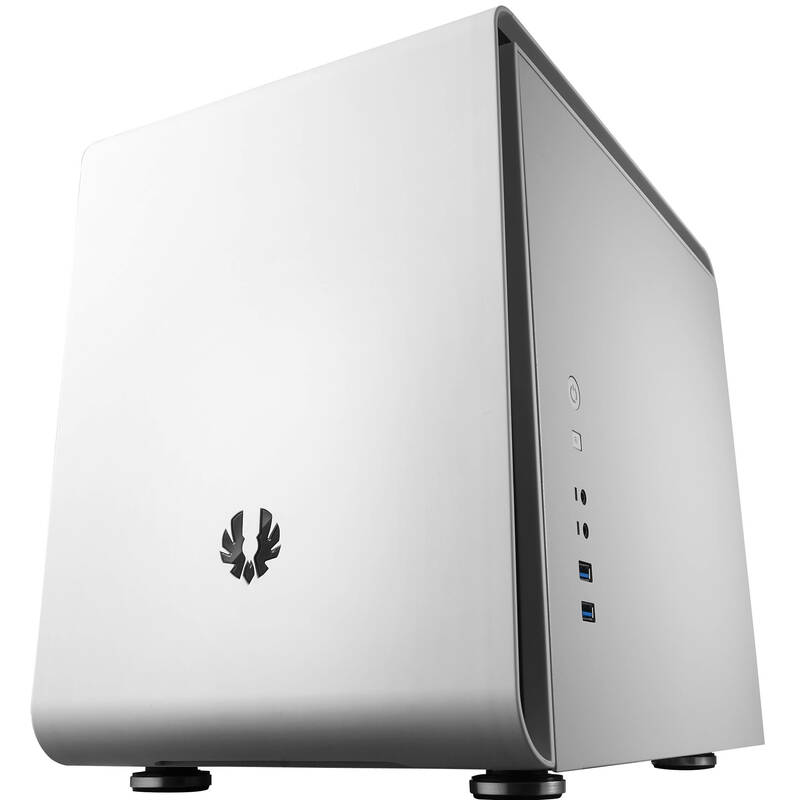 The BitFenix Phenom is a unique way of thinking about a mini-ITX system, as it's not exactly small. It's about the size of a mATX case, making room for multiple hard drives, and a full sized graphics card. The Z170 motherboard is also capable of overclocking if you use a "K" CPU, and there is even room for a water cooler for the CPU. Please note that the included Intel m.2 card includes both Wi-Fi and Bluetooth but only the bluetooth features are available under macOS. For continuity and handoff support in macOS. Please note, "K" CPUs do not come with a basic CPU cooler. A mid-sized build with a quad-core CPU, maxed out RAM, and lots of expandability. If you don't use the PCIe slot, we recommend the TP-Link PCIe card below for native Wi-Fi support. For continuity and handoff support in macOS. A powerful desktop build with budget-minded parts. This build contains an ATX-sized motherboard, a dual or quad core Skylake CPU and budget graphics card. We recommend the TP-Link PCIe card below for native Wi-Fi support. For continuity and handoff support in macOS. A full-sized build with a quad-core CPU, maxed out RAM, and lots of expandability. If you don't use the PCIe slot, we recommend the TP-Link PCIe card below for native Wi-Fi support. For continuity and handoff support in macOS.